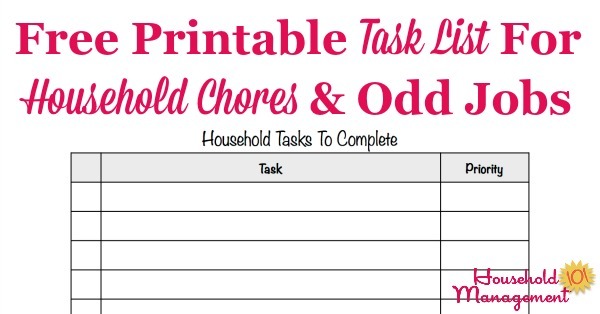 Below is a free printable task list template you can fill out with household chores and odd jobs you realize need to get done, but you can't get to right then, to make sure you don't forget them. Scroll down for the free printable, but first here's how to use it to the best advantage in your home. You know it happens, you're doing a specific task, perhaps one that even just has to get done very soon, around your home, and you come across something else that needs to be done that you either had forgotten all about or just discovered. It could be things like noticing that your shingle flew off the roof, to you need to touch up the paint in the living room where someone rammed into the wall. Whatever it is, that household chore needs to get done, but not when you're trying to head out the door for work, or right before a school play performance. So what happens to these types of tasks? One of two things. You either worry about them in your head, having them pop into your consciousness at random inopportune moments over and over, or you completely forget that they needed to get done in the first place. But there is actually a third alternative, and that is the one I'm telling you about now. It's to write these items down on a master task list, such as the one I've created for you below. While I've provided a printable that you can print out and place in your household notebook, the concept will work whether you use the printable or not. 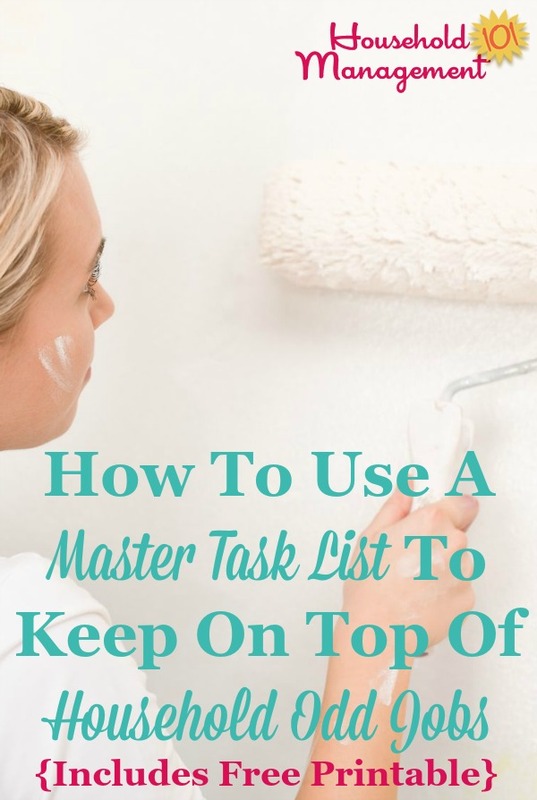 You could keep this master task list down in the notes app of your phone, for example, or in a software program, or any other designated spot where you write down these tasks, chores and odd jobs down when they occur to you. The genius of writing these things down in one spot (not on a random post it note that you then lose, for example, or on your calendar where when you flip the day you've forgotten all about it), is that when you have time and energy for odd jobs around your home you can tackle some of them. And in the mean time you don't forget it, and your brain knows you've got it written down so it doesn't have to keep randomly remembering at weird times that don't actually help. In fact, I suggest making time each week or month (depending on the length of the list you create) to tackle some of these chores and odd jobs to keep up with them around your home. Better yet, get everyone in the family in on the action since you're going to keep the list in a location where everyone can both write things down and help do them! 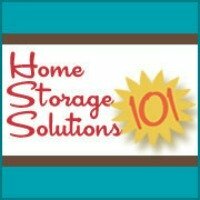 This is a pretty simple idea, but when you execute it and follow through it can really help your household run more smoothyly. 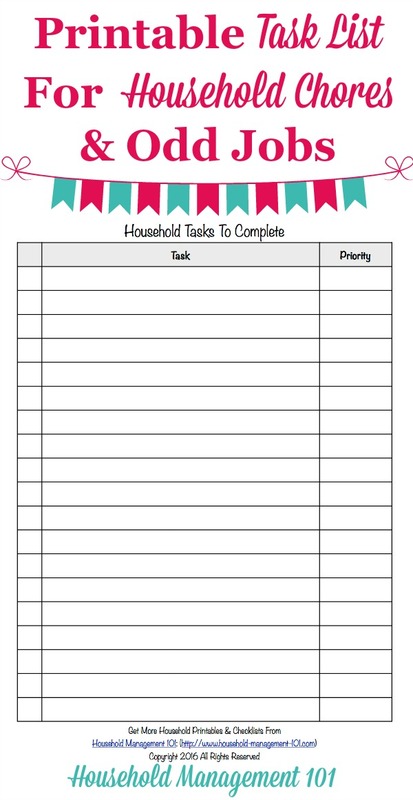 Get your free version of the task list template here. Make sure you put it in your household notebook!